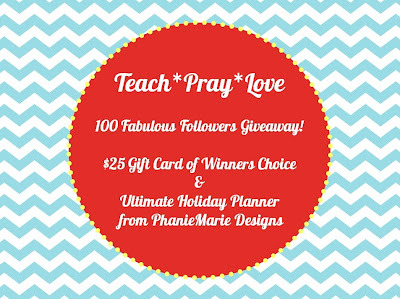 Teach*Pray*Love: 100 Fabulous Followers Giveaway! I am so happy to announce that I have reached over 100 followers! I would like to say thank you SO much to all my lovely followers by hosting a 100 Fabulous Followers Giveaway! 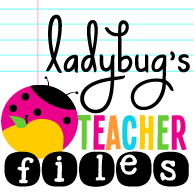 One $25 Gift Card of Winners Choice! This giveaway ends on November 28th and one lucky winner will receive both of the prizes above just in time for the holidays! Good luck everyone and thank you all for helping me reach 100 fabulous followers! Thank you, Lauren! <3 Good luck, everyone! Congratulations on 100! Thank you for hosting this wonderful giveaway! Thank you for becoming my newest follower Iris! I'm so glad you found me. I love meeting other college students that are also education majors. Thanks for stopping by! Congrats on reaching this sweet milestone. Here's to tons of grow, grow, growing. Following ya from the GFC hop and am so excited to get to know ya better. I'd love it if you'd join me for the ride at localsugarhawaii.com where we're riding the wave of life. We've got this amazing team hosting An Aloha Affair so that we can all gather and share and mingle with other beautiful creatives over the next few days. You are personally invited to join us, if you please. I'd love it if you would. Thank you Nicole! I will be stopping by ASAP to check out your blog. Thanks for stopping by! Congratulations! Stopping by your blog today from the city of Basel! Thank you Cherie! Thanks for stopping by! congrats!! thanks for the giveaway!!! Awesome giveaway! I love having the option to choose a gift card. :) Congrats on your 100+ followers! 100 Fabulous Followers Giveaway Winner!